Over 25 years ago, a group of Americans, built a small hospital in Milot, Haiti, a town in the Northern region of the country. Especially as a result of the earthquake of 2010, the hospital began to grow and is presently 125 beds in size. The hospital is called Hopital Sacre Couer and is supported by a non-profit organization called Crudem. Crudem is currently been supported by Holy Name Hospital in Teaneck, NJ and together they have become an integral and essential part of the health care community throughout Northern Haiti. In 2011, Hearts Around the World, Inc offered our assistance to Hopital Sacre Couer in building a cardiovascular training program. Currently, we are partnering with Crudem to provide Hopital Sacre Couer with a cardiac team for one week out of every month. 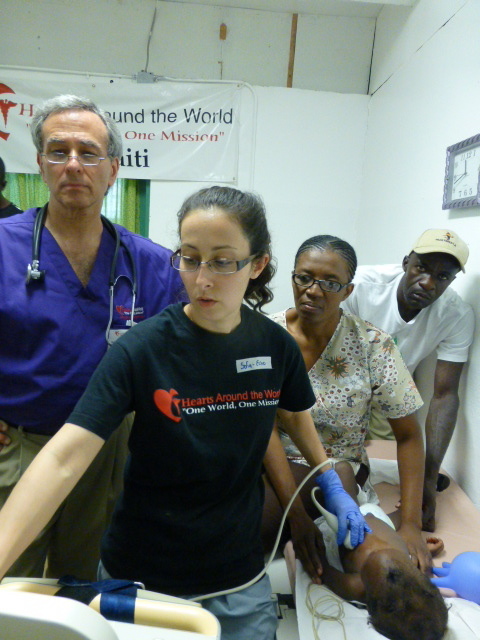 Each year, Hearts Around the World, Inc. is sending 4 teams of cardiologists, ultrasound technologists and nurse practitioners to Hopital Sacre Couer. Our goal is to educate the local internists, cardiologists and technologists in modern care of such conditions as hypertension, heart failure and rheumatic disease.